Do you wish to receive new desktop wallpaper or to print a colorful poster painted by yourself? 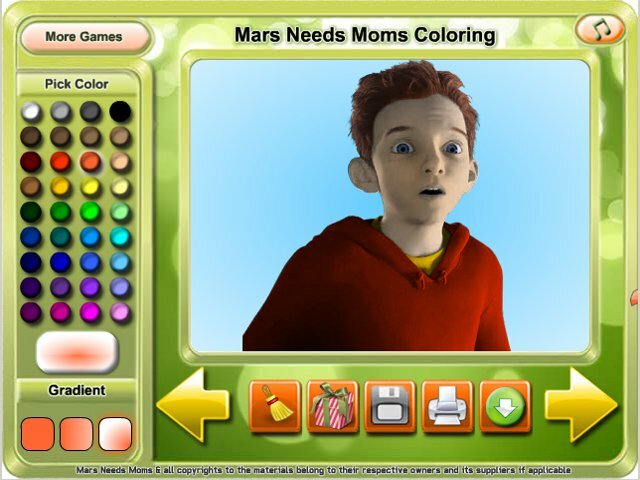 Then start playing the fresh game Mars Needs Moms Coloring! You see a familiar title? Yes! It\'s the title of Disney picture Mars Needs Moms. You will learn what you sense, when your mamma vanishes! Long trip to Mars is shown on the pages of your online coloring book! Play Mars Needs Moms Coloring to meet afresh your beloved characters!